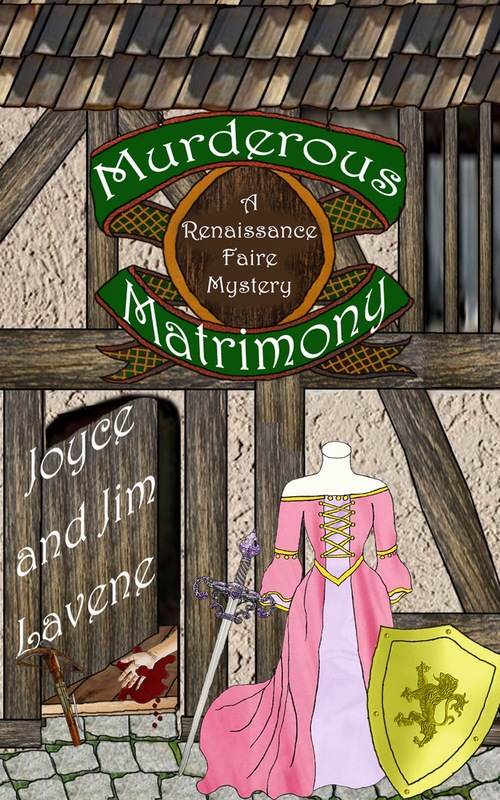 Joyce and Jim Lavene are here with a guest post to celebrate the release of Murderous Matrimony, their sixth Renaissance Faire Mystery. I’ve always loved the idea of Renaissance festivals, though I’ve only visited one or two. If you’ve never experienced one, here’s Joyce to tell you why they’re so much fun — and why they make a wonderful setting for a mystery series! If you’ve ever been to a Renaissance festival or faire, you know it’s the perfect place to incorporate magic and fantasy of all types. Just look at the guests coming in at the gate. There may be centaurs, giants, fairies, wizards, and werewolves. You’re just as likely to see robots, Spiderman, and other science fiction heroes because it’s the perfect place to let your imagination run wild! I don’t want to knock people who say that that these faires and festivals should be more realistic, but come on! The mission for these events is fun first. Maybe Snow White didn’t exist. Maybe Robin Hood wasn’t around at the same time as Merlin and King Arthur. Events of this type cross all borders between real and fantasy, historic and the Three Little Pigs. When you walk through the main gate, as you do in my Renaissance Fire Mystery, who knows what wonders will delight you? There will be jugglers and fire-eaters, goatherds and knights. Colorful costumes abound, and hats are large! Pranksters and comediennes will try their best to make you laugh, and fine ladies will try to catch your eye. Food? The air smells so good that you will be hungry well before you expect to be. Roasted corn and potatoes. Bread bowls full of soup and chili. Pies and candy will make your mouth water. There will be plenty of beer and ale, wine and tea. Sit outside at a table in the shade and watch the merry goings-on. The paths are full as people wander from the jousts to the dungeon and back again. Stay and enjoy a show or listen to Shakespeare recite an ode. Horsemen with extraordinary flair and skill will amaze you with their tricks. The king and queen will preside over these festivities, their royal deportment sometimes raising a few eyebrows. Buy a hot pretzel and smear it with mustard as you eat in the sun. Pitch a penny to the organ grinder and watch dancing girls perform with their colorful veils. You never know what you’ll find when you visit the Renaissance Faire—either in these books, or in real life. Huzzah! 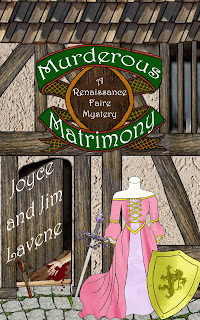 In less than two short weeks, Jessie Morton will marry Chase Manhattan at the Renaissance Faire Village and Marketplace. But so much can go wrong in that short time. 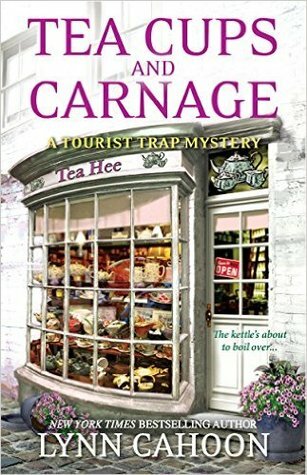 A man is murdered in Jessie’s new Arts and Crafts Museum and her assistant is being scrutinized for the deed. Chase’s brother and parents have arrived and are still against their marriage. Wanda’s ghost is busy making Jessie’s life miserable. The Ren Faire wedding of her dreams may never take place. Can she talk Chase into eloping before it’s too late? Murderous Matrimony gets off to a rousing start and keeps the suspense going. When ‘madman’ Dave’s body is found on the steps of Jessie’s museum shortly before its grand opening, her assistant Manny, who found the body, immediately becomes suspect number one. 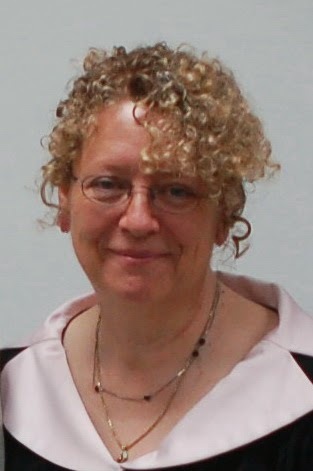 Jessie’s attempts to clear him are complicated by the antics of Wanda, a former Village resident now wandering the Faire as a blue, naked, and very obstreperous ghost. Things only get more difficult with the arrival of Chase’s family, who don’t approve of Jessie. Then there are all the smaller puzzles, like the odd new owner of the Lady of the Lake pub and her assistant, the real-live dragon only Jessie can see, and Manny’s true identity. There’s plenty of humor along with the suspense. 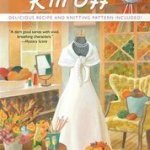 The result is a book that’s fun to read from start to finish. You don’t need to read the previous books in order to understand this one; the Lavenes do an excellent job of bringing the reader up to speed without slowing the action down for exposition. But if you enjoy reading your mystery series in order, by all means begin with Wicked Weaves, the first book in the cycle. 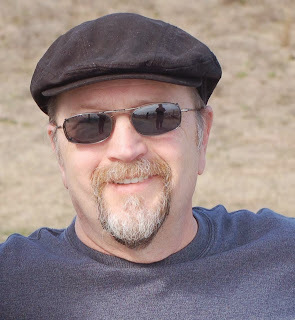 Book source: I received a digital review copy from the authors via Great Escapes Book Tours, in exchange for an honest review. 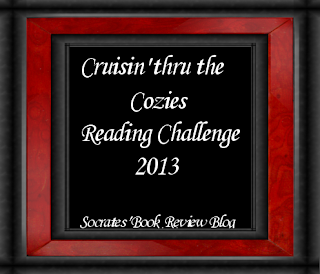 Read as part of the Cruisin’ thru the Cozies challenge hosted by Socrates’ Book Reviews, and the Clean out your E-reader Challenge hosted by Fantasy is More Fun and Because Reading is more fun. Rafflecopter is frustrating to me. I do not tweet. Libby, I’m sorry. I know that’s frustrating. In this case, I didn’t set up the giveaway, which is tour-wide, so I can’t add an alternative for you. But I’ll mention it to the tour host. You can at least enter the Rafflecopter using the first entry (meaning you both leave a comment and click the Rafflecopter entry.) It’s not hard to sign up with Rafflecopter; all you really need is your name and an email. I love Joyce and Jims’s books! I’m rapidly becoming a fan myself! It’s the first I had tried it, but yes, it’s a lot of fun! Enjoyed the guest post. Would love to win. Book sounds fantastic. Thank you for the chance to win this giveaway. I’m glad you enjoyed it! Thanks for stopping by, and good luck! I’m glad you enjoyed the post! This book was a lot of fun; I’m looking forward to catching up with the rest of the series. I don’t know that they exactly feel like standalones — I mean, there’s no question it’s a series with recurring characters. But the authors are really good at giving you enough background that you don’t feel lost, and feel like you know something about the characters. This book sounds good. THANKS for sharing. Good you don’t have to read them in order. Thanks for stopping by and entering the GUESS THE DESK giveaway. Good luck. Link to another post on my blog is below. Glad you stopped by! Yes, I always like it when you don’t have to have read the other books in order, because I can’t always find them that way – especially when I’m using the library or buying used. I have to take them in the order I can get them! 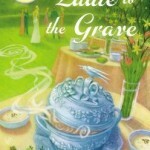 I always appreciate a fun cozy mystery and I like that you can pick this up without having read the others. That is always a bonus for me. Me too! I love fantasy as well as mysteries, but I will say that mysteries are generally easier to read out of order. It’s always a bit frustrating when you find a book you’re really interested in reading, and then realize you have to locate the earlier books in the series before you get started. Luckily, it’s not a problem with this book! Thanks for sharing info on this book. I have heard of the authors before, and of this series in particular. For whatever reason, I never got around to picking it up, but I have been to 3 Renaissance Faires with my kids and we always enjoy them. Sounds like fun reading! If you enjoy renfaires, you should definitely give this series a try! Thanks for stopping by! Wow, you’re doing quite a few challenges there! This book is new to me but I’ll definitely give it some research since it sounds amazing. I’ll have to look up all the books! I’m not doing so well with the COYER Challenge but I am hosting the COYER Acrostic Poem Mini Challenge so I really hope you can particpate and enter the giveaway! Good luck! I noticed you were hosting that mini challenge – in fact, I’ve got my little acrostic all written and ready to go! Thanks for stopping by, and I hope you enjoy the series! I love going to my local ren faire and this book sounds like a fun read. This sounds like so much fun – I’ve always loved Ren Faires and a book set in on the of them seems like ti would be too great to pass up! It makes me think of the TV Show Carnivale. I know, totally not the same setting – but the concept of this world that we can enter but never really be part of us is always fascinating. I’ll have to look at the the first book (since I prefer to read in order). Great review!